and over 50 wooden bridges spanning the canals. Access to the homes is strictly by walking, cycling or boating as there are no roads. The only boating allowed here is quiet boats, most of them being "punters." Giethoorn was at one time an old farming village with thatched-roof houses built on little islands connected by waterways and bridges. 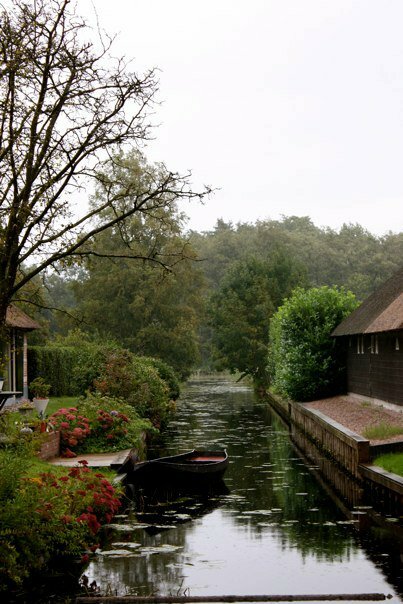 Its canals were dug in the 16th century as a means to transport peat. The village was made famous in the 60's with the movie 'Fanfare' shot on location by film maker Bert Haanstra. Many residents have a summer house here or have come here for retirement. 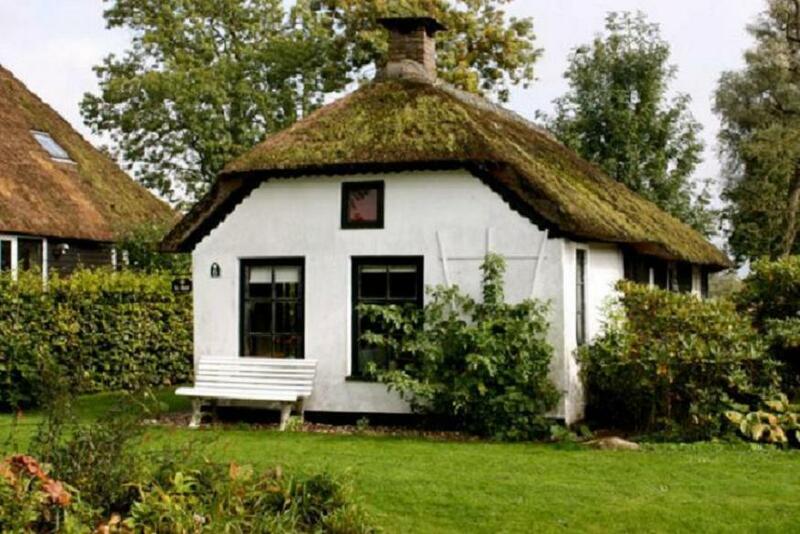 This charming village has become a well-known tourist place in the Netherlands. Does this village not look like the makings of a magical fairytale? If you take a few minutes to watch this video, you will feel as though you are there. Be sure to click on the four arrows to the right of the video for full screen. Enjoy!